New Door Books, 9780978863678, 316pp. At the age of seven, Jason Benson first experiences the wonders of Atlantic City: Carousel music. The scent of Belgian waffles in the cool night air. A clanking roller coaster, riders screaming in free fall. Freak shows and bellowing barkers. The Miss America parade of fifty Cadillac convertibles gliding down the boardwalk. Amazed and smitten, Jason decides his real life will happen here, in this magical shore town. 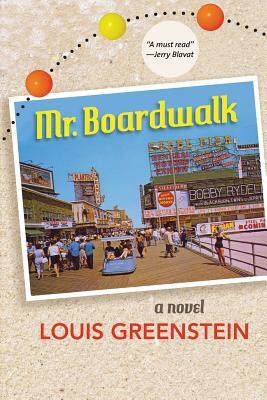 Growing up in a Philadelphia suburb in the 1960s and 1970s, he lives only for his summers on the boardwalk, where his father owns a pretzel stand. From a gypsy friend the boy learns to juggle, and soon "Jason the Magnificent" entertains rapt beachside crowds with his skill and his clever patter. He can't wait to finish high school so he can move to Atlantic City permanently. But his plans go awry. More than 20 years later, we meet him as a grumpy, distant New York copywriter who has never spoken of his youth. All his adventures on the boardwalk--and all the dreams he cherished there--remain a secret from his wife. In deftly interwoven passages, MR. BOARDWALK traces the excitement and perils of the young Jason and the moral growth of the adult who must come to terms with the past he tried to forget. It is a dual coming-of-age story like no other--a tale of magic and reality intertwined.